Smesiin what file can i edit the "You're Attacking / Defending!" messages when you join a team? Try resource/ui/hudalert.res, might be what you're looking for. does anyone know which resource file the "start search >>" button is located in? EDIT: found it in lobbycontainerframe.res under the dumb title "NextButton"
hey, got a few questions. and where can i change the text of the console / server browser? 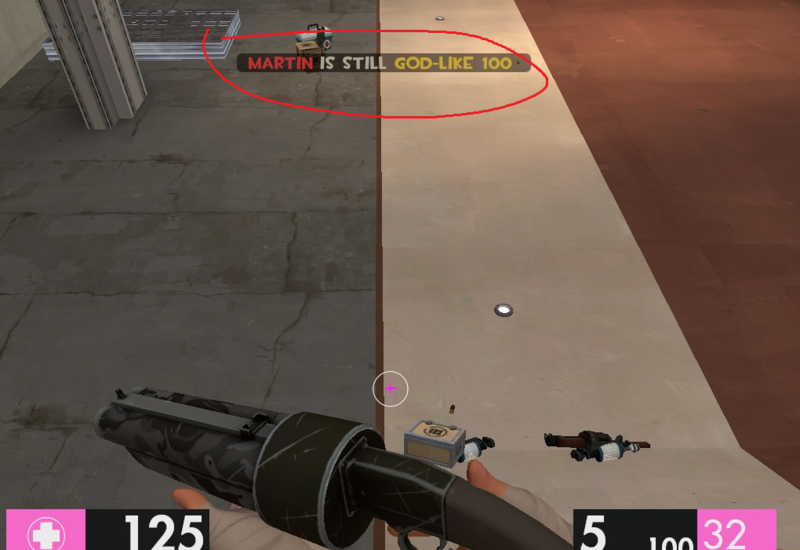 http://i.imgur.com/EA0o3au.png Isn't it just the stock BOLD TF2 font? it is, but where is the file to edit it located / where is the font name located in clientscheme.res? 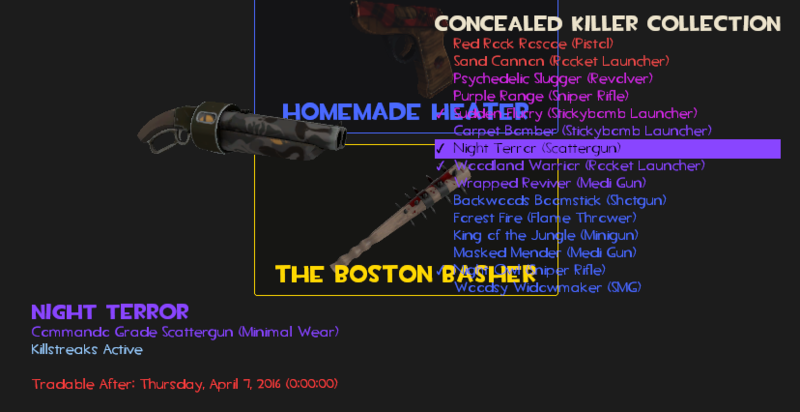 Should be able to edit it in hudkillstreaknotice.res, if you don't have the file, make it yourself or steal it from another hud. @EEvove, I recommend starting with the default hudfile and then comparing it to custom huds to take what you like or see how others did it, but the default file is most likely the most up to date file you should use for reference. I'm trying to replicate this. what's the command for the server timer? thank you for the help, though i have two problems. is this fixable at all? also, when items don't load 100% they leave a brighter box and i have to reload the backpack to fix this. how do you make the chat background be transparent like here? i added the stuff in matchstatus and the timer is just invisible now, what did i do wrong? also what would be the "default file" in this case? hudmatchstatus? How do I move the timer at the top up? How do I get the Default hud damage font and place them into my hud? 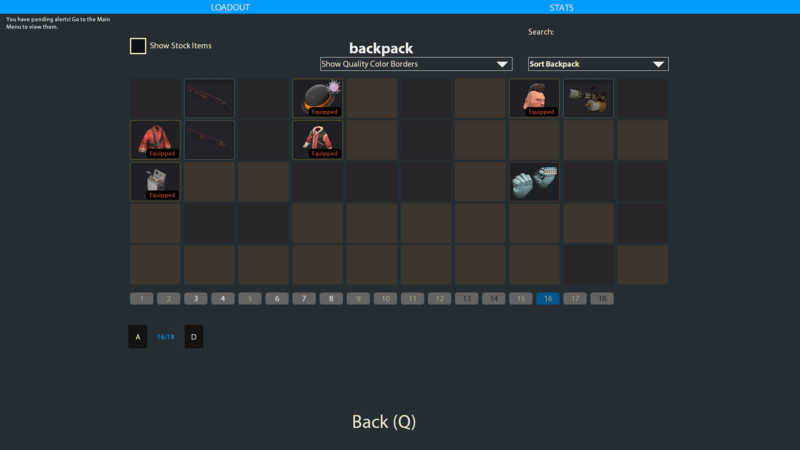 hello, so i pushed my backpack/crafting/armory/trading/panels 90 pixels to the right and i have one problem involving that. i don't really know how to describe this issue but is there a different way to push over everything while maintaining the buttons on the left? 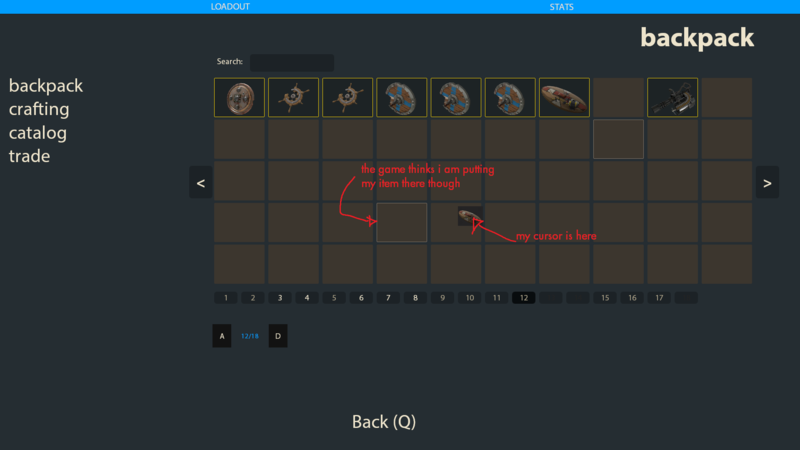 Bound_How do I get the Default hud damage font and place them into my hud? Trying to change the scoreboard stat colors from the gross default lime but once i open the scoreboard the colour quicly change back to lime. selTrying to change the scoreboard stat colors from the gross default lime but once i open the scoreboard the colour quicly change back to lime. You can rename the stat from, for example, "kills" to "kills_white" and it should work fine. [quote=sel]Trying to change the scoreboard stat colors from the gross default lime but once i open the scoreboard the colour quicly change back to lime. _Kermit selTrying to change the scoreboard stat colors from the gross default lime but once i open the scoreboard the colour quicly change back to lime. Can I fix this or is it a problem with the font or something? [quote=_Kermit][quote=sel]Trying to change the scoreboard stat colors from the gross default lime but once i open the scoreboard the colour quicly change back to lime. How do I make the "Your intelligence has been captured" box smaller? btw huge thanks to people who respond to these. 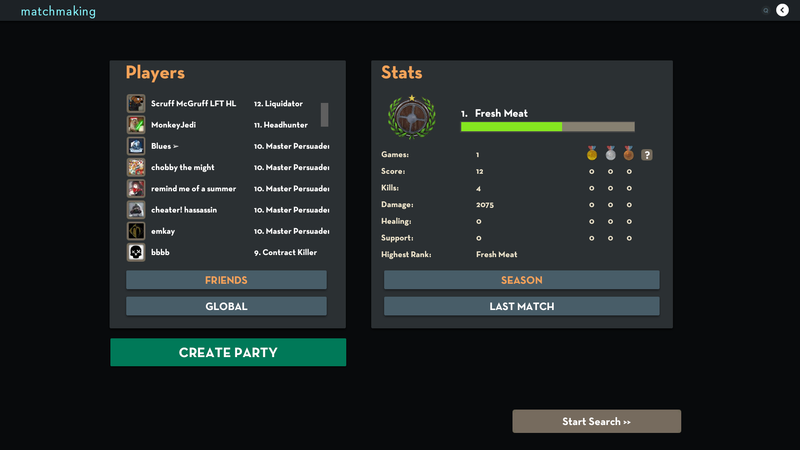 how would i go about changing the label of "TRAINING" to "COMPETITIVE" and changing the action of it to opening the mm lobby screen? Can someone explain why certain outdated menus seemingly crash on launch? I carefully looked through and referenced with the default hud, adding anything that was missing. Yet it still crashes. I got the crashes when I messed with the x+y positions of the "Competitive Beta Image", just make them "c100" instead of "c20+40" or similar if you moved them. These changes alone caused the crashes basically. sorry if this was already asked, but how do i make the objective thing on the bottom of the screen smaller? [quote=triiiple]sorry if this was already asked, but how do i make the objective thing on the bottom of the screen smaller? 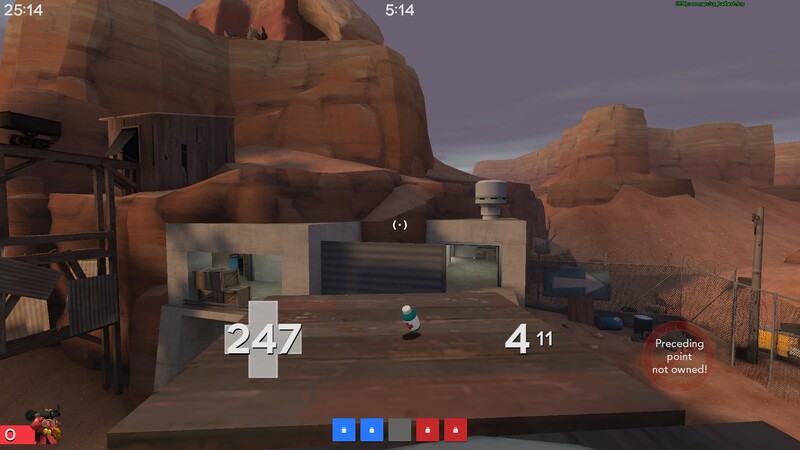 [quote=astrin_] how would i go about changing the label of "TRAINING" to "COMPETITIVE" and changing the action of it to opening the mm lobby screen? 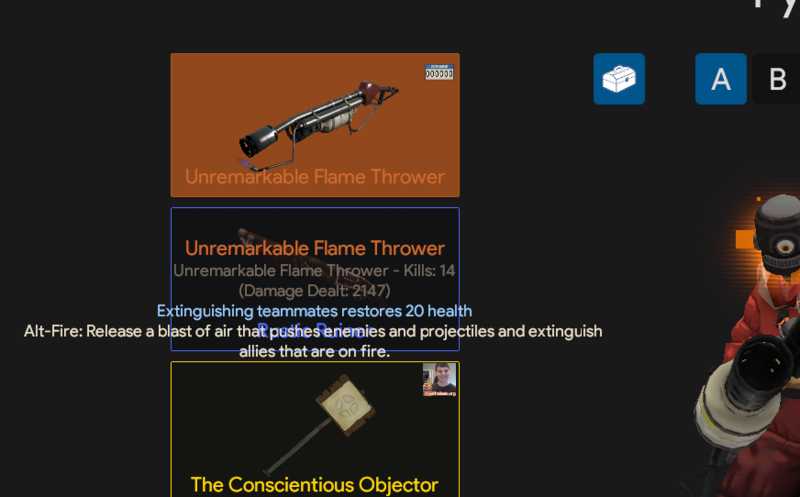 so i'm having a small issue with my item panels. this background is 100% transparent, but in my backpack it is 100% fine and shows the black background it's supposed to show. 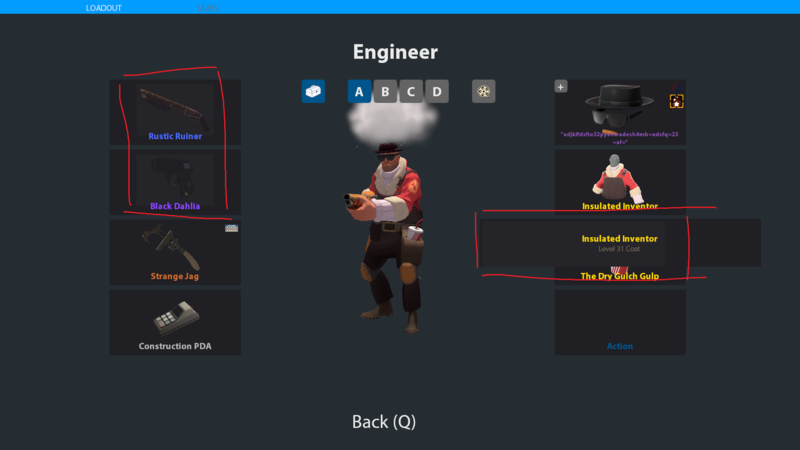 adding a black background in itemmodelpanel results in some weird errors i posted earlier (post #2947)... so how would i go about adding a black background to the item panels in my loadout? Which file contains the spectator outline/xray parameters? So bladehud doesnt show the health of the enemy that kills you, anyone knows how to fix that?